Make your festive baking just a little bit simpler with the Avanti Star Christmas Tree Cookie Cutter Set. 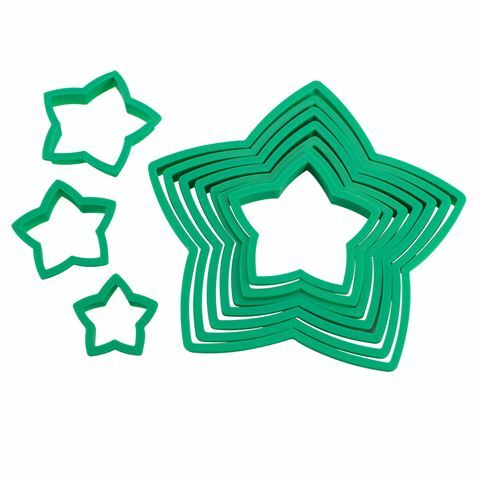 Containing ten different star shaped cookie cutters of varying sizes, there’s no denying that this set will make your Christmas celebrations all the more tasty! Even better, stacking the cookies will give you a stunning Christmas tree effect that is sure to get everyone talking! Everything you need to make your own gingerbread Christmas tree. Includes recipe to help you along. Presented as a ten piece set in an Avanti box. Box Dimensions: 21.5cm (l) x 21.5cm (h) x 2cm (w).